Most of our antique fire surrounds are pictured with a traditional black lead graphite finish, alternative finishes are available which include matt black, primed ready for painting or polished cast iron. 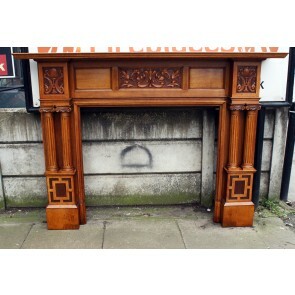 Our restored wood fire surrounds can be stained or waxed in many finishes. Please contact us for a price on different finishes. Cast iron was and still is the most popular material used in manufacturing fireplaces and cast iron antique fireplaces as it is durable, has a high melting point and is more economical to use than other materials such as steel, copper or copper alloys such as bronze. 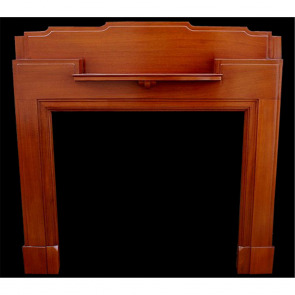 Cast iron is often used in the design of fireplace inserts such as register grates, tiled grates and arched grates and is exclusively used in the design of antique combination grates sometimes referred to as “ all in one” cast iron fireplaces. 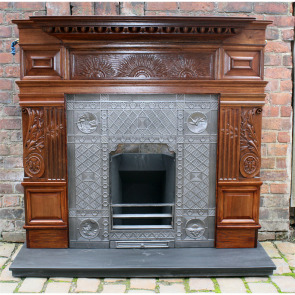 Cast iron is also used in other parts of the fireplace such as fire surrounds, panels and various fireplace accessories such as pokers and grates. 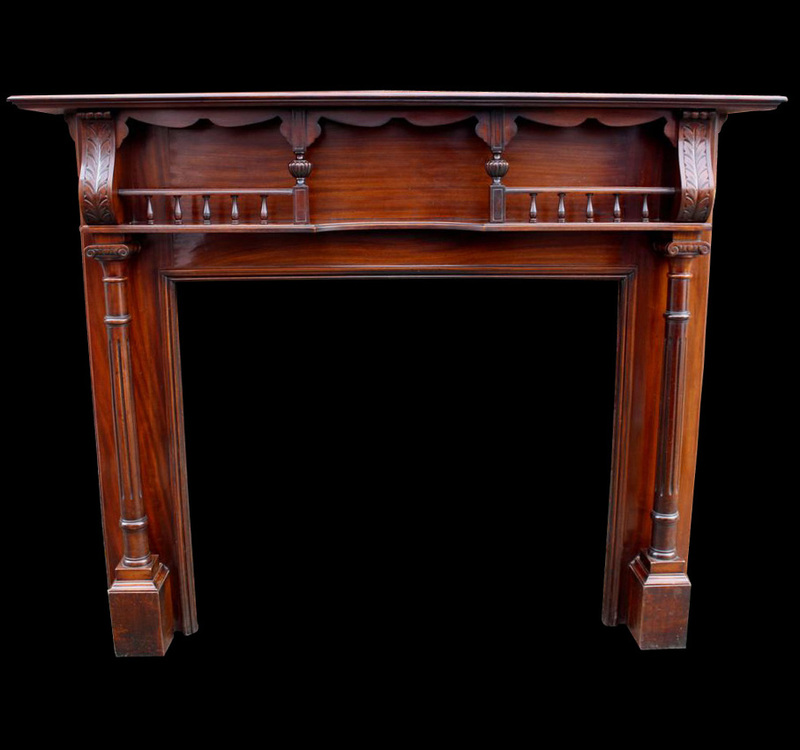 From the gracefulness of the early 1800's to the exuberance of Art Nouveau, our antique fireplace surrounds add warmth and elegance to any room or living space. 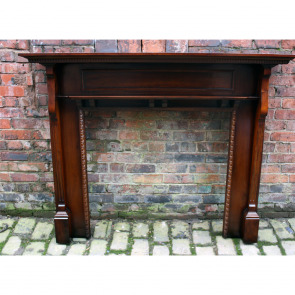 Whether you want to restore a period house or create an authentic look for a modern home, our fully restored genuine antique fireplaces will inspire you. 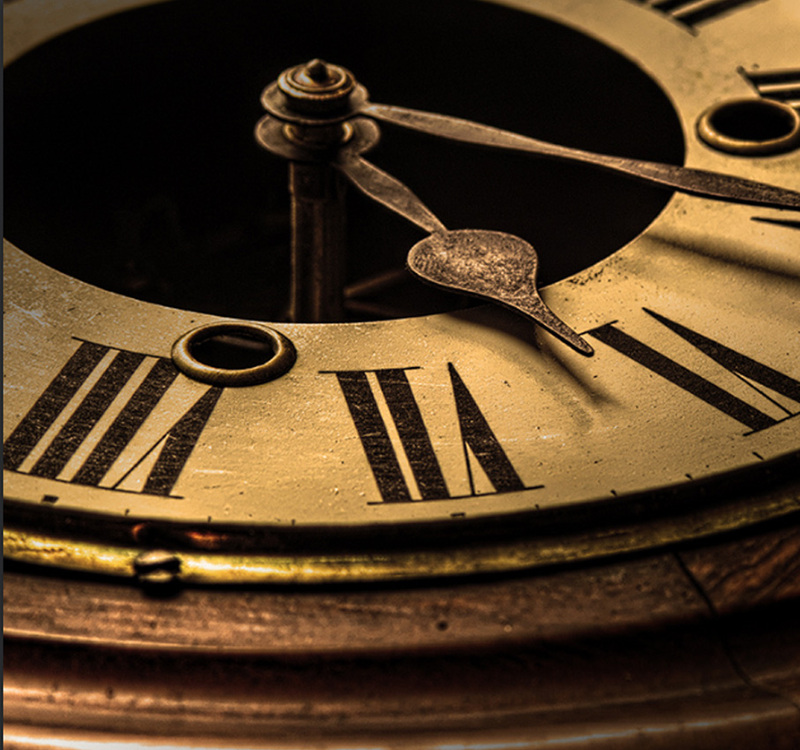 Their durable cast iron design has allowed them to stand the test of time and be restored to their former glory. 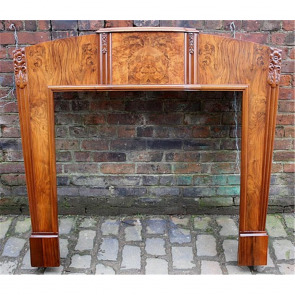 Expertly restored by skilled craftsmen in our dedicated workshops you can be sure to find something to suit your taste knowing it has been renovated to a superb standard by a qualified and experienced professional. 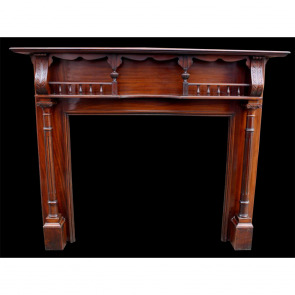 Due to our huge range available not all of our cast iron & metal antique fireplaces are on display in our showroom so if you would like to view then please give us a call to check if it is on display and arrange a viewing. 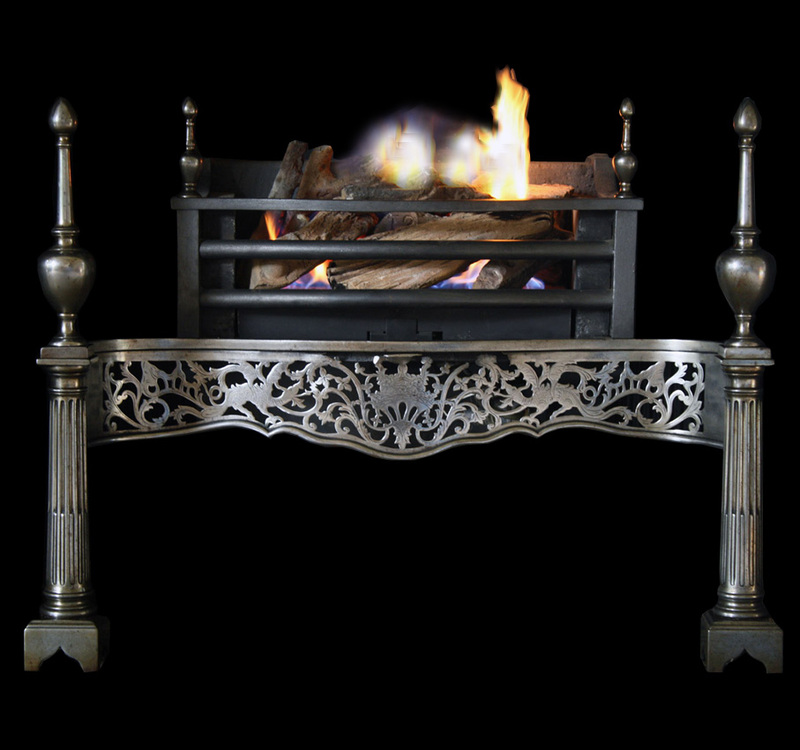 We also offer a made to measure service on all of our hearths, ashpans and gas fires and can usually adapt bottom grates to suit sizes of any original cast iron fireplace so whether you are burning gas or solid fuel you can be sure we can find something to suit the fireplace. Reclaimed Late Victorian Large Oak Surround.